If you're looking for a more assertive lift for your Jeep Wrangler JK, you've come to the right place! 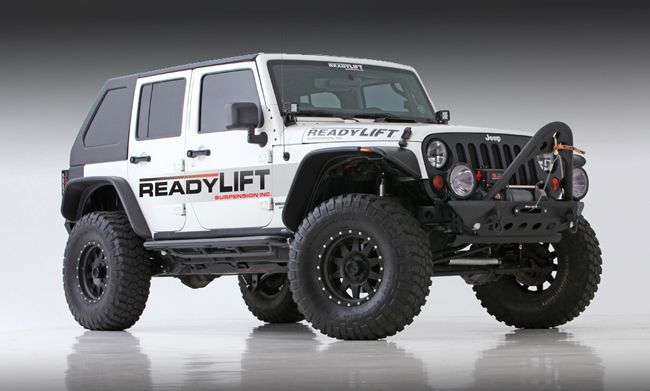 Ready Lift lift kits are an easy solution that is easy to install, safe to use, and sets your Jeep apart from the rest. 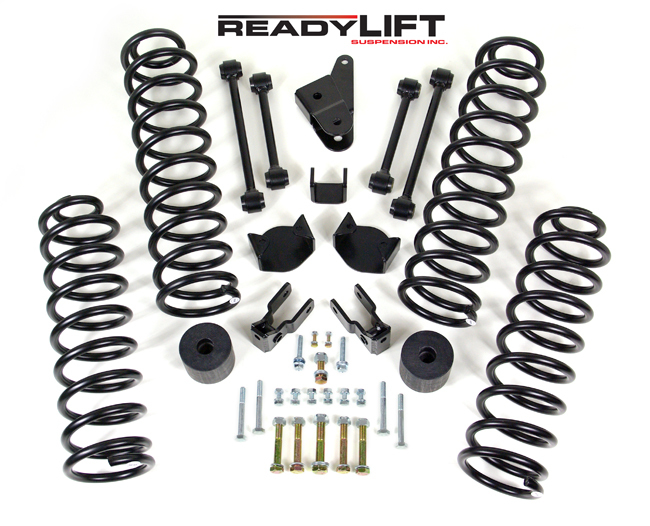 This ReadyLift lift kit achieves lift for your truck with new progressively wound high performance coil springs. Your Lift Kit also includes four replacement sway bar end links, a rear track bar relocation bracket, new bump stops and bump stop pads to ensure the correct articulation of your suspension, and more. 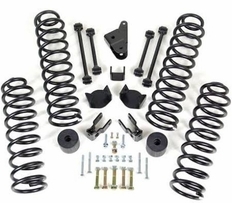 The ReadyLift 69-6400 Jeep Lift kit also includes shock extensions for both the front and rear to accommodate your factory shocks and ensure the factory ride of the vehicle is maintained. All necessary hardware, as well as detailed instructions that include photos, and a Lifetime Warranty are included. The part number for this Ready Lift Complete lift kit is 69-6400 and it fits 2007-2017 Jeep JK (all) models. It lifts the front of your truck 4" in the Front and 3" in the Rear), giving your truck a level stance and allowing you to safely run up to 35" wheels. If you use flat aftermarket fenders, you can run up to a 37" wheel setup.